Ret. 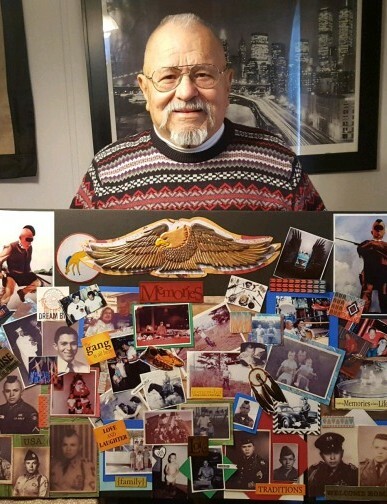 SFC Daniel "Silver Eagle" Henry Muzquiz, 81 passed away Tuesday, January 22, 2019 at UNC Rex Healthcare in Raleigh. A memorial service with full military honors will be held at 2:00pm Saturday, January 26, 2019 at Butler Funeral Home Chapel, officiating will be Rev. Jerry Groves. He is preceded in death by his parents, Joe Muzquiz and Adelita Adami Muzquiz; brother, Jack Muzquiz; and a sister, Alicia DeLaSancha. He retired from the United States Army with over 20 years of service, while being in the service he received multiple Purple Heart Medals and was a Vietnam War Veteran. He was very proud of his Apache American Indian Heritage and he loved sharing and doing presentations about it to various children's groups. He also owned his own landscaping company in the Outer Banks area. He was also funny, never met a stranger, was considered everybody's papa, and loved his family with all of his heart. He will truly be missed by all who knew him. He is survived by his wife, Phyllis Vollmer of Hope Mills; children, Daniel J. Muzquiz & wife, Helene of Fayetteville, Jack L. Muzquiz & wife, Tina of Germany, Lydia S. Muzquiz of Fayetteville and Alice Phillips & husband, Mike of Hope Mills; 8 grandchildren and 2 great grandchildren. Services entrusted to Butler Funeral Home of Stedman.